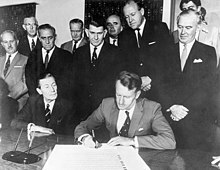 On 12 October 1965, the United Nations General Assembly had noted the repeated threats of the Rhodesian authorities "to declare unilaterally the independence of Southern Rhodesia, in order to perpetuate minority rule", and called upon Wilson to use all means at his disposal (including military force) to prevent the Rhodesian Front from asserting independence. After UDI was proclaimed, UN officials branded Ian Smith's government as an "illegal racist minority regime" and called on member states to sever economic ties with Rhodesia, recommending sanctions on petroleum products and military hardware. In December 1966, these measures became mandatory,[clarification needed] extending to bar the purchase of Rhodesian tobacco, chrome, copper, asbestos, sugar, meat, and hides. The Lancaster House Agreement further provided for a ceasefire which was followed by an internationally supervised general election, held on February 1980. ZANU led by Robert Mugabe won this election, some alleged,[who?] by terrorising its political opposition, including supporters of ZAPU, through former insurgents that had not confined themselves to the designated guerrilla assembly points, as stipulated by the Lancaster House Agreement. The observers and Soames were accused of looking the other way, and Mugabe's victory was certified. Nevertheless, few could doubt that Mugabe's support within his majority Shona tribal group was extremely strong. 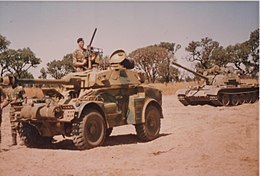 The Rhodesian military seriously considered mounting a coup against a perceived stolen election ("Operation Quartz") to prevent ZANU from taking over the country. 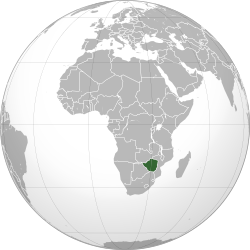 The alleged coup was to include the assassination of Mugabe and coordinated assaults on guerrilla assembly points throughout the country. The plan was eventually scuttled, as it was obvious that Mugabe enjoyed widespread support from the black majority despite voter intimidation, as well as the fact that the coup would gain no external support, and a conflagration which would engulf the country was seen as inevitable.